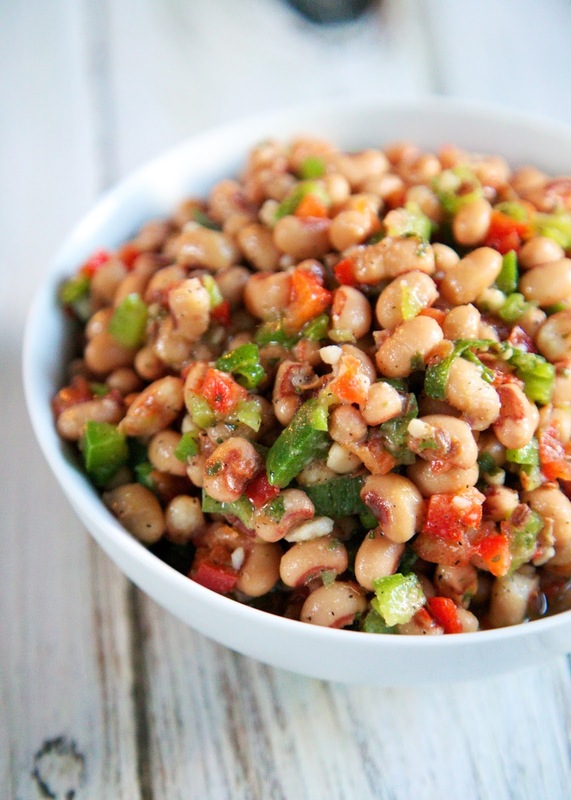 This Black Eyed Pea Salad is a great summer side dish or dip. We've served it both ways and it is delicious either way. This dish can be made ahead of time and served several days later. The flavor actually gets better the longer it sits. We ate this with the Nashville Hot Chicken Bites from yesterday, and it was great! This makes a ton, so there is plenty to share. Serve this at your next BBQ or while watching the game. Whisk red and green peppers, scallions, garlic, oil, Champagne vinegar, cider vinegar, parsley, salt, and black pepper in a medium bowl. Toss with black eye peas. Chill. This is such a great idea! Black eyed peas are the best. Looks delicious. Loving this, I'd totally take a bowl of this for lunch right now! 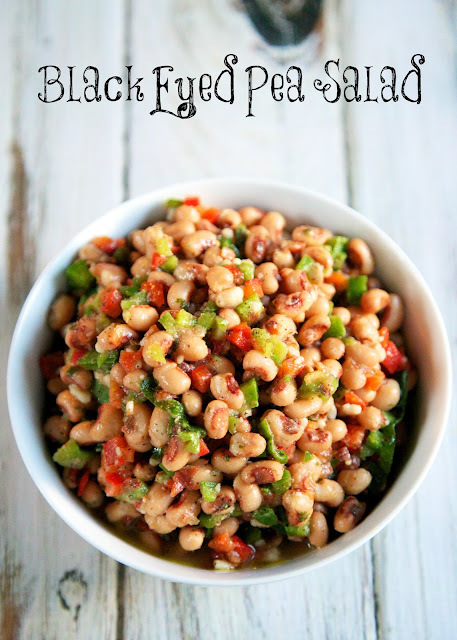 I've never been crazy about bean salad until I tried this recipe.